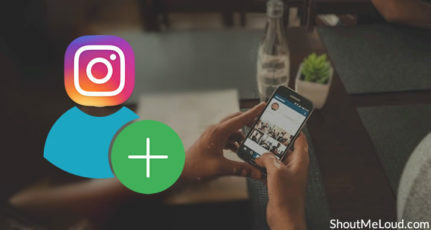 Do you use Instagram to promote your business? If not, learn why you should start using Instagram for your brand. 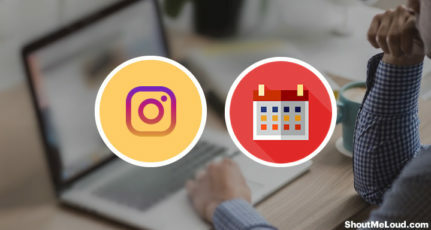 Be it a business or a blog, Instagram marketing can give you effective results in a short time. According to the Pew Research Center, Instagram is the fastest growing social network. In December, 2014 it overtook Twitter in the number of users. Instagram has over 300 million users compared to Twitter’s 284 million. Engagement rate on Instagram is also very high when compared to other networks. Forrester analyzed more than 3 million interactions with more than 2,500 brand posts on seven social networks. The engagement rates for these brands on 6 of the 7 social networks studied, was less than 0.1%. On that one network, Instagram, posts generated a per-follower engagement rate of 4.21% which is 58 times more engagement per-follower than Facebook, and 120 times more engagement per-follower than Twitter. All these statistics prove this is the perfect time to build an Instagram following. So here are working tips to start getting Instagram followers fast and for free. 3. Invite Friends: Don’t walk alone! On any social network, be it Facebook, Twitter, Pinterest or Instagram, the best way to get fans or followers is by posting quality updates. When you post more quality updates, more people will see the amazing things you share and will want to follow you in order to see your future updates. And don’t underestimate the power of engagement. Engagement on Instagram, in the form of ‘Likes’ and comments will ensure that your images are seen by more people, and will add social proof. When people see that your posts have received a lot of ‘Likes’ and comments they will be more likely to follow you. a) Curalate analyzed more than 8 million Instagram photos and found that images with a high amount of lightness generate 24% more likes than dark images and that images with a high amount of background get 29% more likes. The study also found that…. Images with blue as the dominant color get 24% more likes than those with red as the dominant color. Images with one dominant color get 17% more likes. Images with low saturation get 18% more likes. 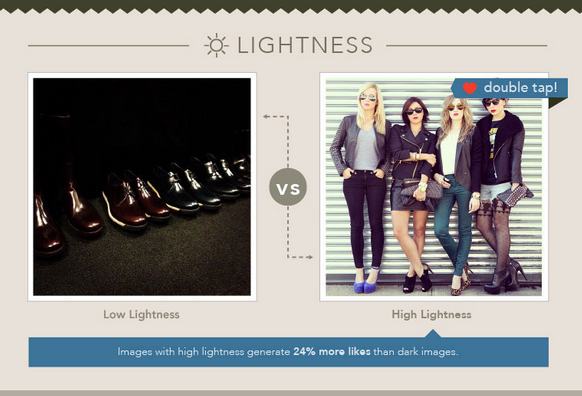 And images with high levels of texture generate 17% more likes. b) Dan Zarrella also analyzed just under 1.5 million photos from over 0.5 million Instagram accounts to determine what types of posts get more ‘Likes’ and comments. I have listed some of his results below. 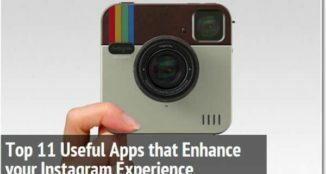 Use more hashtags: Dan Zarrella found that the more hashtags an image has on Instagram the more ‘Likes’ and comments it receives. 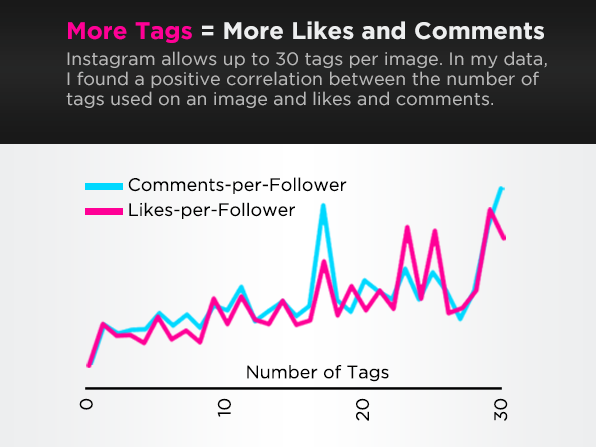 In fact if you look at the above graph you will notice that images with around 30 hashtags received the highest number of ‘Likes’ and ‘comments’ which is also the highest number of tags Instagram allows. You can find the most popular hashtags here. Stay clear of filters: Photos devoid of filters received the highest amount of ‘Likes’, so don’t get tempted to use one. Use calls-to-action: Photos with the caption ‘like’ got 89% more ‘Likes’ and those with the word ‘comment’ got 2,194% more comments. So make a goal before you publish your post and write captions which will help you reach your goals. Share photos of you: Dan Zarrella found that photos with one or more faces got 35% more ‘Likes’ than those without. If you plan to share selfies, then try taking snaps of you with a duck face, as the Curalate study referenced above found that duck-face selfies generated 1,112% more ‘likes’. If you follow the above tips while sharing photos on Instagram, your photos will receive more engagement, which should convert to followers. If you have loyal followers or fans on other social networks you can ask them to join you on Instagram too. If they engage with your updates on other networks they will want to see and engage with your photos on Instagram. They will not only follow you but will also regularly ‘Like’ and comment on your Instagram photos. UberFacts uses this technique really well. 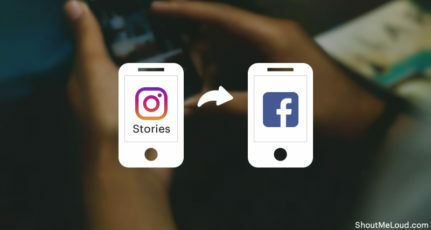 Along with the many photos they post on Facebook, they include a link to their Instagram account and a call to action that asks people to follow them on Instagram. 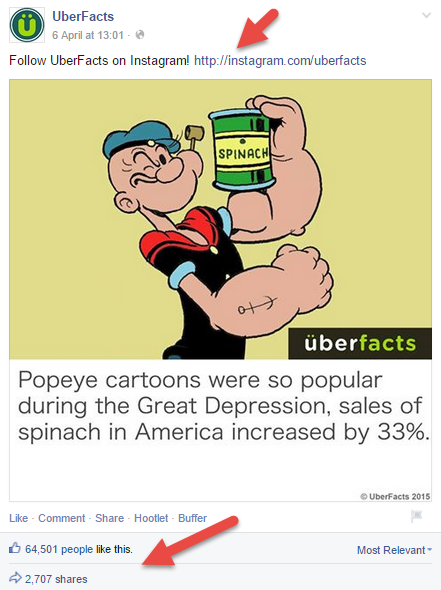 As UberFacts has over 1.5 million Facebook fans and really high engagement levels, this technique should help them get plenty of new Instagram followers. They have 554,000 Instagram followers right now. An example is this post. It has the text, ‘Follow UberFacts on Instagram!’ followed by the link to their Instagram account. The post received over 65,500 ‘Likes’ and 2,700 shares which should have helped them gain a good amount of Instagram followers. In a similar way you can ask followers from your various social media accounts to follow you on Instagram. If you have a blog or website you can add a ‘Follow me on Instagram’ button to it. This button will help convert traffic into followers. You can invite friends from your other social networks and those in your contact list to follow you on Instagram using the Instagram ‘Find & Invite Friends’ feature. If you choose this option Instagram will contact your friends through email and text messages and prompt them to follow you. This is an easy way to get many followers quickly, especially if you have a new Instagram account. A contest is one proven method for gaining Instagram followers in a short time. If a contest is run effectively and generates engagement, some of that engagement will definitely convert to followers. You can ask people to follow you to take part in a contest to ensure you get the end result you want. It would actually be better to ask participants to do more than just follow you. You can ask them to upload photos, use certain hashtags, mention others, sign up with their email address, etc. This will get you a better return on investment. An example of an Instagram contest that helped someone gain a lot of followers is the one run by Deftones. Deftones, an American rock band ran an Instagram photo contest where their fans could easily take part by uploading photos of themselves at Deftone concerts they attended and then tagging it with the hashtags #deftones and the city they attended, like #newyork. Within 3 months of starting the contest, the band’s Instagram account got close to 20,000 followers. People weren’t asked to follow them to take part in the contest, but they followed them anyway. This can actually prove to be more effective as people were not only following them so that they could win the contest. They followed them because they wanted to. Another example of an easily run engaging contest is this one by Drinkwel. To take part in it, all participants needed to do was double-tap (‘Like’) the photo and then tag a friend in the comments. A contest like this which involves ‘Liking’ and tagging of friends can get you both engagement and followers. Many of the tagged users will take part in the contest and will be inclined to follow Drinkwel. 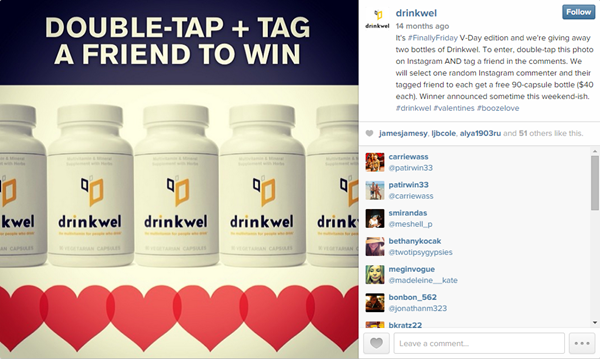 If you check out Drinkwel’s Instagram account you will notice that they run contests on a regular basis. Following them will ensure that the follower is notified when a new contest is launched. 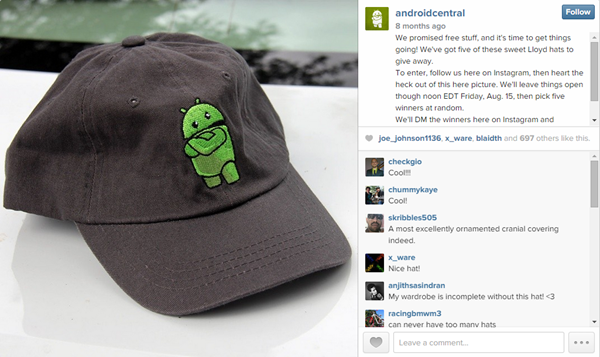 This contest from Android Central is an example of a contest where people needed to follow in order to take part. As I mentioned earlier, asking people to follow to take part in a contest can be a great way to get followers. 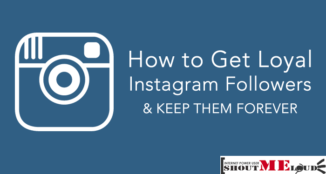 To start getting loyal Instagram followers, begin using the above tips and strategies. You can start by posting quality images and inviting contacts, friends and followers from your other social networks. After that you can experiment with contests, and determine which one gets you best results. Always track your results to see what works. What do you do to generate loyal Instagram followers? Did I forget to list anything important? Please leave your comments below. Your article on getting loyal Instagram followers looks very interesting. If we managed to get the lots of Instagram followers, likes and shares then it can drive traffic to our site? Can we post site links along with the images to Instagram? You have beautifully lighten the very important topic. Before reading this article I was always thinking that how can we get user traffic from Instagram. Now I have understood very clearly. Thank you for your hard work and sharing. You’re welcome Syed! Thank you for your comment. Now I realize that Instagram is more important to promote the business. Before that I give priority to other websites. Good research. I am planning to apply your suggestions. Hope I will get success. 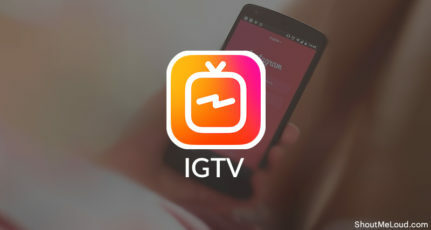 Good article bro, started using instagram recently and it really has a lot of potential and as it supports a huge number of hashtags, a post gets hell a lot of exposure and by default attracts more likes and followers. But, the important thing which I consider with instagram is, it is not a good place to share about our blog posts (not every blog post), but publicizing some meaningful blog posts can be fetching to grow our brand. We just started using IG @karenschindel a couple weeks ago, and very excited to get your tips…I know the post was from quite a while back, but assuming many of the suggestions are still valid. Some of my family is currently out sailing the Sea of Cortez, and I’ve just given my husband permission to do more duck-face selfies 🙂 Thanks Mitt. I have recently joined Instagram. Before I could not understand why people posting their photos on Instagram would be so popular. 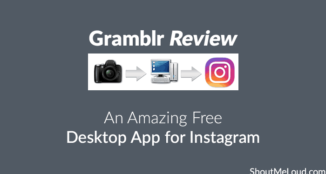 In addition to that I am told it could grow traffic to my website and after now reading your article I am understanding how Instagram can benefit me more, so thank you very much for sharing your knowledge.